The CDC in the US has released new numbers on the autism epidemic in the US. It now estimates that 1in 88 children (1 in 54 boys) have an autism disorder. There are no known, reliable estimates available for Canada which has not updated its autism estimates in several years. The Harper government has not taken Canada's national autism crisis seriously preferring to hide behind constitutional walls and leave the availability of treatment to an autistic child to depend on which province his/her parents live in. A National Autism Symposium was cancelled once the Harper government became aware that serous autism advocates were planning to participate. The symposium was rescheduled and the resulting symposium was a sham. Speakers and so called "community representatives" were chosen who would not take an aggressive advocacy position on any autism issues. The speakers list even included persistent anti-ABA activist Dr. Laurent Mottron who believes that the idea of curing autism is nonsense. Mottron's mentor and fellow anti-ABA, anti-autism cure activist Michelle Dawson was also in attendance. Causes of autism stressed the genetic bases of autism with no attention to possible environmental causes or triggers. The prevalance rate of 1 in 165 advanced by Dr. Eric Fombonne at that 2006 symposium is still the only figure recognized by the Harper government and by the Autism Society Canada. A strategy to address the growing needs of adults with autism, specifically around continuing education, employment, housing/residential living and community integration. The Autism Speaks recommendations are solid and, hopefully, will be adopted in the United States. In Canada we can not realistically expect a serious response along those lines from our current Federal government. That has been clearly demonstrated over the past several years of Harper Conservative rule. In terms of the prevalence rate though it is absurd to rely on the outdated figure of 1 in 165. In the absence of any credible, current estimates from Canadian government institutions or from federal autism advocacy groups, the US figure of 1in 88 should be taken as the best available estimate of Canada's autism rates. We must also continue the push for national Medicare coverage of effective ABA autism treatment, for continued, real autism research of causes and cures, and for the beginnings of a plan for adult autism employment opportunities and adult residential care and treatment facilities. The US has stepped up to the plate, again, in offering meaningful, honest information about the autism epidemic. Canada has long suffered from a lack of will that has allowed our autism epidemic to become a national autism crisis. We must begin now working toward the day when a new national government is elected that will take our autism crisis seriously. In the meantime we should abandon the ridiculously outdated autism estimate of 1 in 165 and use the American estimates: 1 in 88 children, 1 in 54 boys. NEW YORK, N.Y. (March 29, 2012) – Autism Speaks, the world’s leading autism science and advocacy organization, today called on the nation’s elected and appointed leaders to immediately develop a new, coordinated strategy to take on a national public health emergency – the autism epidemic – in the wake of a new report from the U.S. Centers for Disease Control (CDC) finding that autism is now diagnosed in a staggering 1 in every 88 American children. "Our commitment must meet the challenge,” added Wright. “We need the President, the public health agencies and representatives from both sides of the aisle to come together. A national emergency needs a national strategy. Anything less won't be enough." The CDC report, published in this week’s Morbidity and Mortality Weekly Report (MMWR), states that more than 1 percent, or 1 in every 88 children, is diagnosed with autism today, including 1 in 54 boys. This is a 78% percent increase in 6 years (2002-2008) and a 10-fold (1000%) increase in reported prevalence over the last 40 years. 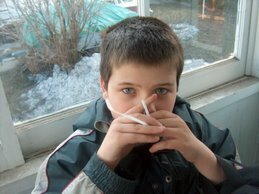 The report uses the same methodology that produced the CDC’s 2009 prevalence findings of 1 in 110 children with autism. "We know early diagnosis matters, but early diagnosis without access to treatment means nothing,” said Geraldine Dawson, Ph.D., Autism Speaks chief science officer. “A majority of children don't get the treatment and services they need and deserve. We have to address all of this as we move forward." The total 2011 National Institutes of Health budget was $30.5 billion. Of this, only $169 million – or 0.6% -- was directly focused on autism research. Earlier this week, Autism Speaks announced preliminary results of new research that estimates autism costs society a staggering $126 billion per year (U.S.) – a number that has more than tripled since 2006. This cost increases to $137B with the new prevalence numbers. The cost of providing care for each person with autism affected by intellectual disability in the U.S. is $2.3 million through his or her lifespan. The lifetime cost of caring for individuals who are not impacted by intellectual disability is $1.4 million. The Autism Speaks-funded research was conducted by researchers Martin Knapp, Ph.D., of the London School of Economics and David Mandell, Sc.D. of the University of Pennsylvania. Autism is a general term used to describe a group of complex developmental brain disorders – autism spectrum disorders – caused by a combination of genes and environmental influences. These disorders are characterized, in varying degrees, by social and behavioral challenges, as well as repetitive behaviors. An estimated 1 in 88 children in the U.S. is on the autism spectrum – a 1000 percent increase in the past 40 years that is only partly explained by improved diagnosis. Autism Speaks is the world’s leading autism science and advocacy organization. It is dedicated to funding research into the causes, prevention, treatments and a cure for autism; increasing awareness of autism spectrum disorders; and advocating for the needs of individuals with autism and their families. Autism Speaks was founded in February 2005 by Suzanne and Bob Wright, the grandparents of a child with autism. Mr. Wright is the former vice chairman of General Electric and chief executive officer of NBC and NBC Universal. Since its inception, Autism Speaks has committed over $173 million to research and developing innovative resources for families. Each year Walk Now for Autism Speaks events are held in more than 95 cities across North America. To learn more about Autism Speaks, please visit www.autismspeaks.org. 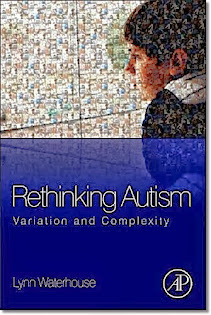 Autism Speaks: Lifetime Care of Individuals with Autism Highest for Those with Intellectual Disability $2.3 Million U.S. NOTE: The information in this Autism Speaks news release is based on the US estimate of 1 in 110 persons having an autism disorder. New autism prevalence information released today by the CDC indicates that autism disorder diagnoses have increased by 78% to a current rate of 1 in 88 persons, 1 in 55 for males. HLD. Lifetime Care of Individuals with Autism Highest for Those with Intellectual Disability $2.3 Million U.S. and £1.5 Million U.K.
New York, N.Y. (March 28, 2012) – Autism Speaks, the world’s leading autism science and advocacy organization, today announced preliminary results of new research that estimates autism costs society a staggering $126 billion per year (U.S.) – a number that has more than tripled since 2006, and annually in the U.K. has reached more than £34 billion (equivalent to $54 billion U.S.). The costs of providing care for each person with autism affected by intellectual disability through his or her lifespan are $2.3 million in the U.S. and £1.5 million ($2.4 million) in the U.K. The lifetime costs of caring for individuals who are not impacted by intellectual disability are $1.4 million in the U.S. and £917,000 in the U.K. (equivalent to $1.46 million). The Autism Speaks-funded research, conducted by researchers Martin Knapp, Ph.D., of the London School of Economics, and David Mandell, Sc.D., of the University of Pennsylvania, will be presented at the international conference “Investing in our Future: The Economic Costs of Autism,” hosted by Goldman Sachs Hong Kong in collaboration with the Child Development Centre and Autism Speaks, on March 31 in Hong Kong. Drs. Knapp and Mandell compiled information from recent studies of autism costs from multiple sources to calculate the current cost of autism associated with the current CDC-reported prevalence that 1:110 children are diagnosed with an autism spectrum disorder (ASD). The cost of autism continues to grow with the rise in prevalence. While the latest prevalence estimates in the U.S. and U.K. are comparable, the primary difference in total costs of autism in the U.S. and U.K. are due to differences in total country population (five times larger in the U.S. than the U.K.).The research team found that the cost of autism in the U.S. alone is greater than the entire Gross Domestic Product (GDP) of 139 countries around the world. This research found that intellectual disability plays a major role in the cost of autism to individuals, families, and society as a whole. The costs of autism per year are nearly twice as high on average for children and adults with intellectual disability than for children and adults without intellectual disability, $2.3 million in the U.S. and £1.5 million in the U.K. ($2.4 million) for those individualswho are impacted by intellectual disability compared with more than $1.4 million in the U.S. and£917,000 ($1.46 million) in the U.K. for those who do not have intellectual disability. A number of factors were considered by the researchers that contributed to the cost differential between U.S. and U.K. lifetime and total costs. The education and healthcare systems in the two countries offer different responses to the needs of people with autism and their families. Access to empirical data regarding healthcare and education costs differed between the two countries. It is also currently estimated that 45 percent of individuals with ASD in the U.S. and 55 percent of individuals with ASD in the U.K. have intellectual disabilities, defined as an IQ of 70 or less. Experts consistently point to early interventions as key to increasing language and IQ scores, and reducing life span costs. Total costs to the U.S. were also based on adult prevalence of one-half of one percent, lower than currently estimated 1:110 prevalence of autism in children, derived from past CDC studies. The researchers point to adult prevalence as an area for additional study in the U.S. The research also found that non-medical costs account for the greatest proportion of expenses. While direct medical costs, such as outpatient care, home care, and pharmacy, contribute significantly to overall expenses, non-medical costs, including intervention services and special education, child daycare, and especially residential placements and care for adults who age out of school and can no longer live at home with parents account for the largest proportion of autism costs. Building on this preliminary research, Autism Speaks recently provided additional funding to Drs. Knapp and Mandell to support an additional year of study to examine how autism therapies reduce lifetime costs associated with autism. Their investigation will focus on both intensive preschool behavioral interventions and vocational interventions that support an individual’s independence during the transition to adulthood. Calculations will take into account costs related to healthcare, education, caregiving, housing, and employment. As confirmed by this study, the majority of costs related to autism are incurred during adulthood, principally due to the cost of residential care as well as loss of productivity, underemployment and unemployment among adults with autism. Services for adults are both lacking and expensive. 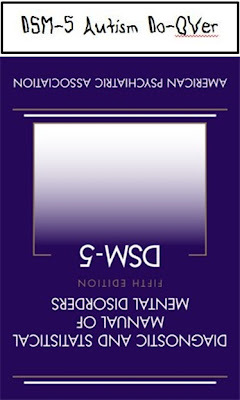 In 2007, Michael L. Ganz, Ph.D. of the Harvard School of Public Health published research in the journal Archives of Pediatric and Adolescent Medicine which estimated that autism cost the United States more than $35 billion per year, and that the incremental cost of caring for an individual with autism over his or her lifetime due to their special needs was more than $3 million. Despite growing prevalence, autism currently receives less than five percent of the research funding of many less prevalent childhood diseases and disorders. Dr. Mandell and his colleagues recently published findings in Pediatrics that mothers of children with ASD are less likely to work, work fewer hours per week and earn substantially less. Typically the primary caregiver, mothers are called upon to serve as their child’s case manager and advocate, and on average, earn 56 percent less than mothers of children with no health limitations. They earn 35 percent less than mothers of children with another health limitation. They are 6 percent less likely to be employed, and they work an average of seven hours less per week. Dr. Knapp, Professor of Social Policy at the London School of Economics and Political Science and a preeminent expert on health economics explained that the economic burden of autism varies widely across different parts of society from the individuals with ASD, their families, the communities they live in, businesses in those communities, to the government agencies which provide healthcare, education, welfare benefits, social care, and housing. “There is an immediate need for better coordination across public agencies and levels of government from local to national in the way that society structures its service delivery system; too often responses to the needs of individuals and families are piecemeal and less helpful than they could be,” he concluded. This research was wholly funded by Autism Speaks. The World Health Organization (WHO), through its partnership with Autism Speaks, is serving in an advisory capacity and providing technical support for the cost of autism analysis. Autism is a general term used to describe a group of complex developmental brain disorders – autism spectrum disorders – caused by a combination of genes and environmental influences. These disorders are characterized, in varying degrees, by social and behavioral challenges, as well as repetitive behaviors. An estimated 1 in 110 children in the U.S. is on the autism spectrum – a 600 percent increase in the past two decades that is only partly explained by improved diagnosis. Why has the APA decided that the DSM-5 Autism Spectrum Disorder should eliminate or substantially reduce the numbers of persons with ASD who are intellectually disabled? The removal from an ASD diagnosis of persons with ID will be accomplished by the express wording of Mandatory Criterion A of the DSM-5's New Autism Spectrum Disorder which requires "A. Persistent deficits in social communication and social interaction across contexts, not accounted for by general developmental delays.." Where the numbers of persons with intellectual disability constitute the vast majority of persons with Autistic Disorder under the DSM-IV they will now be removed from the autism spectrum under the DSM-5 Autism Do-Over which will now define autism largely in terms of the current Asperger's definition of social communication and repetitive behavior deficits. 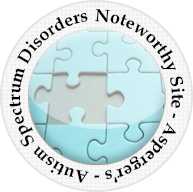 The DSM-5 Autism Spectrum Diosrder would be more accurately titled Aspergers Spectrum Disorder. But why the substitution of Asperger's for Autism in the DSM-5 Autism Do-Over? "The DSM-5 modifications will be great for drug development, as there will be greater standardization in clinical trials, said Dr Craig Erickson, chief, Christian Sarkine Autism Treatment Center, Indiana University School of Medicine. With hardened criteria, there will be better, clearer studies that are easier to interpret, he said. DSM-5 changes will be a positive for research as the improved diagnostic clarity would ensure proper enrollment criteria, Ring agreed. Erickson noted that there is often a bias in clinical trials, where high-functioning patients are typically enrolled as they are more readily able to tolerate routine procedures such as blood tests part of clinical trials. Further, it is easier to make improvements in less-impaired children, Elliott said, noting the Phase II Kuvan in autism trial included children with IQs in the 50-60 range as well as Asberger patients. To avoid a bias in developing treatments only for higher-functioning patients, it would be especially advantageous to target specific symptoms rather than a broad lump of ASD so that specific interventions can target symptoms for a particular severity, for example stereotypic motor movements, Elliott said." "The [DSM-5 Autism Spectrum Disorder] proposal is based on years of accumulated clinical, epidemiological, and neuroscience research which was thoroughly examined by the members of the DSM-5 work group on Neurodevelopmental Disorders." A problem with that explanation is that the research on which the DSM-5 autism spectrum disorder is based is biased in favor of high functioning autistic and Asperger's subject participation. The existing research as admitted by Dr. Lord and Dr. Erickson tends to exclude the severely challenged, intellectually disabled population. The new DSM-5 reflects that research bias by expressly excluding the intellectually disabled from a DSM-5 era Autism Spectrum Disorder diagnosis. The DSM-5 Autism Do-Over will exclude the intellectually disabled to make life easier for autism researchers, clinicians and pharmaceutical manufacturers. There is no compelling reason to expressly exclude the intellectually disabled from the ASD except for the convenience of these groups. There is no legitimate research basis for removing the intellectually disabled from an autism spectrum disorder diagnosis. There is only bias ... bias against the intellectually disabled. 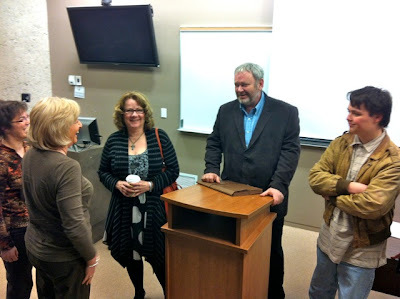 Autism Society NB Meeting Was A Huge Success! Good turnout at the ASNB meeting yesterday despite the flooding conditions present in western New Brunswick especially up river in the Perth-Andover area. Everyone was fully engaged. There was a candid and courteous exchange of information and ideas. Decisions were made, organizational planning got under way and positions were discussed and concluded on key issues facing New Brunswick's autism community. 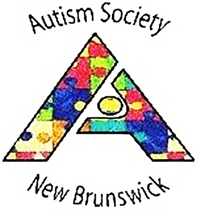 Next Meeting will be June 2 but there will be activity between now and then including an official statement of concerns from the Autism Society of New Brunswick to the NB government. 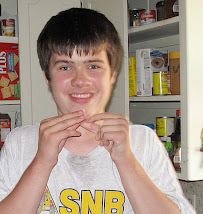 Anyone in NB interested in joining ASNB can do so by emailing me at AutismRealityNB@gmail.com. Please provide your name, community, email address for contact and the nature of your interest in autism. It is hard to believe that in 2012 a government agency with responsibilities for the provision or administration of health care could take the position that ABA is an "unproven" treatment for autism. That was the justification though of the Florida Agency for Health Care Administration in refusing to provide Medicaid coverage for ABA treatment for three persons with autism. As reported by the Miami Herald US Federal Judge Joan Lenard disagreed and ordered the FAHCA to provide the Medicaid coverage for the applied behavior analysis treatment: "U.S. Judge Joan Lenard ruled Friday that applied behavioral analysis be covered by Medicaid....Lenard held that ABA was a proven and highly effective treatment of children with autism." Apparently the Florida Agency for Health Care Administration is not familiar with authorities from the US Surgeon General to the American Pediatric Association and a number of state agencies that have reviewed the scientific literature and found ABA to be the most evidence based effective treatment for autism. Or perhaps they accidentally subscribed to updates from anti-ABA activists Michelle Dawson and Laurent Mottron who have appeared (often) in the media and in Canadian legal and political proceedings in a prolonged and determined effort to prevent Canadian autistic children from receiving ABA treatment for their autism disorders. Regardless, US Federal Judge Joan Lenard, in addition to issuing an order directing the agency to provide Medicaid coverage for ABA, has also educated the agency on the benefits of ABA treatment for children with autism disorders. 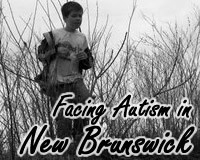 Erosion of New Brunswick's Autism Gains: We Can't Just Stand By and Let It Happen! New Brunswick made substantial progress in providing services to autistic pre-schoolers and students over the previous 10 years. Those gains are now being eroded. Eroded may be to gentle a way to describe what is happening. Those gains are being dismantled completely. The basis for the gains made in providing autism services in New Brunswick is the UNB-CEL Autism Intervention Training Program. Early intervention workers and teacher aides were were educated in the UNB-CEL program which provided independent, quality training. Now training will be provided in house by the autism agencies themselves and by the Department of Education. The interests of autistic children will now take a step back behind the competing interests of adults. Attached following this commentary is a letter I sent this morning to various political and organizational leaders who are, or should be, interested in autism issues in NB. The ASNB needs to step up and speak up again! We are meeting this Saturday, March 12 at 12:00 noon at MacLaggan Hall, UNB Fredericton and we need you and your voice. See you there! There will be an open meeting of the Autism Society New Brunswick this Saturday March 24 at 12 noon at UNB Fredericton, McLaggan Hall. The meeting is open to anyone in NB with an interest in autism. New Brunswick, during the previous 12 years, came to be recognized as a Canadian Leader in autism service delivery by esteemed experts including Dr. David Celiberti of the Association for Science in Autism Treatment. The gains resulted from the efforts of many people including parent advocates, involved professionals in psychology, speech language pathology and related disciplines, and conscientious members of both former Premier Bernard Lord and former Premier Shawn Graham. Those gains are now being eroded by decisions of the current administration without consultation with conflict free autism advocacy representatives in New Brunswick. Anyone interested in autism and autism service delivery is welcome to attend. The meeting will not be conducted by a professional "facilitator". In other words it will essentially be a free and open discussion with only two requirements - candor and courtesy. Hope to see you all there. Feel free to invite, or refer this invitation to, anyone you know with an interest in autism in NB. An immigrant South Korean family, Sungsoo Kim, wife Sunmi Kim, daughter Lisa and son Taehoon, have been living in Canada for the past 9 years. A permanent residency application has been rejected by Canadian officials because the 12 year old son is autistic. He received the autism diagnosis several years ago but after he and his father, Sungsoo Kim, had arrived in Canada. 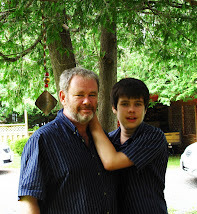 Change is difficult, very difficult, for many people with autism disorders. 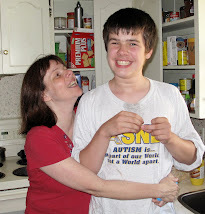 For my severely autistic son slight changes in his daily routines and expectations can result in serious problems. 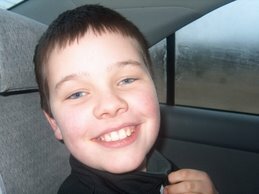 I can not imagine the harmful impact on this 12 year old autistic boy, to be sent to another country now, after growing up in Canada over the past 9 years. He has South Korean heritage, a Korean name and family but this boy after spending 9 of his 12 years in Canada IS Canadian. I understand the costs argument but it is still heartless for Canada to send this autistic boy to live in a country he does not know, absolutely heartless. If and when harm comes to this boy from this decision Canada must bear a major part of the responsibility. I am generally very, very proud to be Canadian but I am not proud of the way we treat good people who have chosen to live among us and become part of Canada because a child is diagnosed after arrival with an autism disorder. Woe, Canada! 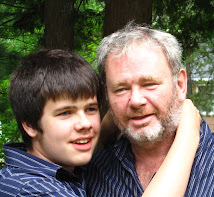 New Brunswick, Canada, like most jurisdictions, has some gaping holes in respect of autism services delivery. But there have also been some significant successes due largely to the UNB-CEL Autism Intervention Training Program and Dr. Paul McDonnell who was a leading force in the establishment of the UNB-CEL AIT Program. While the UNB program is still being utilized for some specific purposes it is being abandoned for cost reasons and to satisfy competing adult interests, particularly in education. 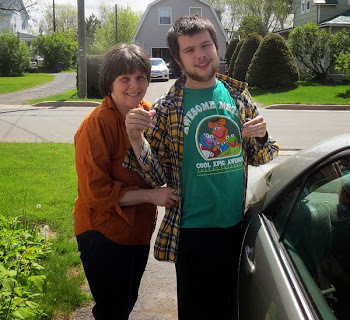 Adult residential care and treatment in particular is brutally bad here in NB with many severely autistic adults living in group homes with untrained staff and other inadequate resources. The most severely affected autistic adults live in psychiatric hospitals and some live in other make shift accommodations, at least temporarily staying on general hospital wards and shipped out of the province. Two young men were sent several years ago to the Spurwink facility in neighboring Maine, USA, where at least one is believed to still be residing. Although not perfect there have been some successes here in NB in early intervention and provision of autism trained education assistants and resource teachers. 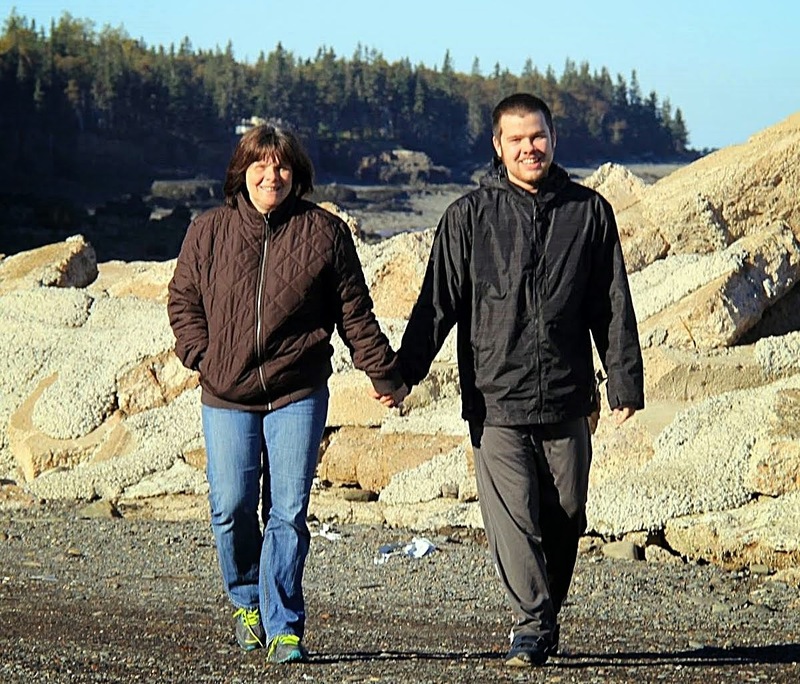 The foundations for those successes, as highlighted very well in a Brunswickan news article, have been the UNB-CEL Autism Training program and Dr. Paul McDonnell, Clinical Psychologist and Professor Emeritus (Psychology). Sadly, our provincial government is largely moving away from using the excellent UNB-CEL Autism Intervention Training program to train early intervention workers and education assistants and resource teachers for our schools. Our provincial government has recently approved the provision of in house, on the job, training for early intervention workers in our government approved early intervention agencies of which there are seven in our province. One or two of these agencies may be able to provide some level of quality training but it is highly unlikely that all seven agencies will be able to meet a quality training level. The move away from early intervention autism training by UNB-CEL is a serious setback for New Brunswick children with autism disorders. At the same time New Brunswick has already been abandoning UNB-CEL Autism Intervention training for education assistants and resource teachers in favour of, once again, in house training. It took some strenuous advocacy by parents of autistic children to obtain a commitment by our previous governments to provide UNB-CEL autism training for our education assistants and resource teachers working with autistic students. Well placed people in the Education Department, in particular a gentleman named Robert Gerard, objected to the UNB training as being a "Cadillac" service. Instead the department offered a number of in house training options none of which called for entry qualifications, testing as a requirement of course completion and in some instances no timeline for completion. It is my understanding that our government has sent some teachers to obtain BCBA qualifications in the US, and that they will be involved in some capacity with in house training of education assistants and resource teachers. In house training however has inherent drawbacks. Lack of independence of those providing the training, who will report to a number of Department bureaucrats will be one of those drawbacks. The CUPE local which represents education assistants, and Teachers Association for the teachers, will likely be involved with and possibly interfere with, the conditions and qualifications for training. There are already reports of a collective agreement arbitration award which rejected a posting requirement for a UNB autism trained education assistant to work with an autistic student. I have been unable to confirm that information though as a request made to the Department several weeks ago for a copy of the award has not been fulfilled despite a follow up last week. Our present Conservative government has chosen to abandon the quality UNB-CEL training of front line workers in early autism intervention agencies and schools. Next will come a report by Dr. Gordon Porter and the New Brunswick Association of Community Living both of which have opposed the individualized instruction of students with autism in favor of Dr. Porter's everybody in the mainstream classroom inclusion illusion. The autism success for which autism parents fought so hard in this province for so many years is eroding before our eyes. In all honesty this is what I expected with the current administration which has such close ties to Dr. Porter's "everybody in the mainstream classroom" inclusion philosophy. Dr. Porter was part of the advisory team which assisted Premier David Alward in his transition to office after the last provincial election. Minister Jody Carr and government members Jack Carr and Daniel Soucy all have backgrounds in the NBACL which has opposed attempts to provide one on one ABA based instruction to some autistic students in quieter school environments outside the mainstream classroom. 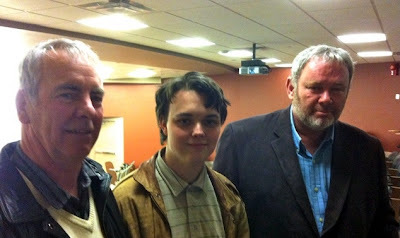 The abandonment of the UNB-CEL Autism Intervention training and the renewed influence of Dr. Gordon Porter and the NBACL in the provision of education services does not bode well for the future of New Brunswick's autistic children and students. The challenge of bridging the gap in New Brunswick's adult autism residential care and treatment has always been huge. It is unlikely to be tackled in any meaningful way until a new government takes office in several years time. Kim Oakley author of Autism, Epilepsy and Self-Injurious Behavior has broken the autism feel good cliche glass, again, in No Justice for Severely-Autistic Adult in California a comment about Van Ingraham "a severely- autistic man who had his neck broken in 2006, while living at Fairview Hospital, one of California’s Developmental Center’s that serves the forgotten population of adults with severe autism and behavioral issues." 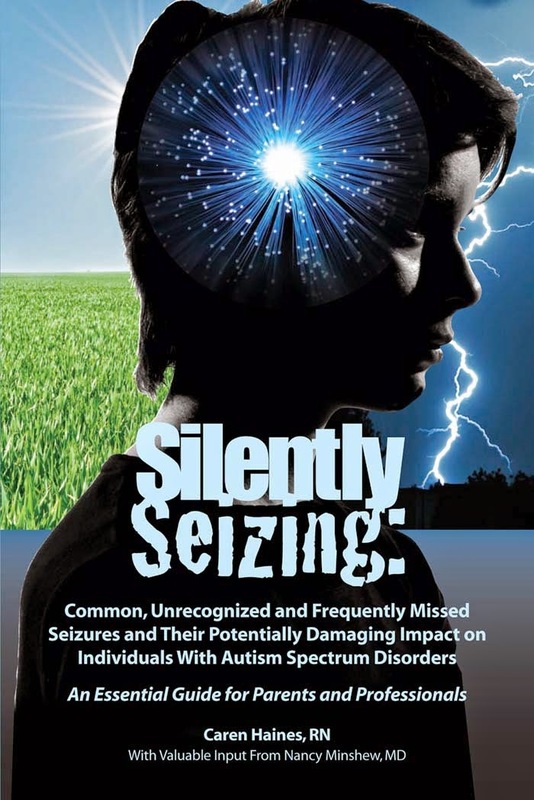 Oakley's comment highlights excerpts from a report titled Basic police work ignored in autistic patient’s suspicious death by Ryan Gabrielson published February 24, 2012 on California Watch, Founded by the Center for Investigative Reporting. 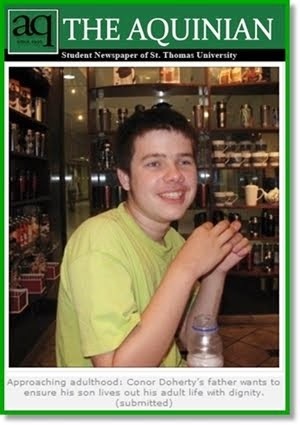 The suspicious circumstances of Van Ingraham's death as reported on California Watch is not easy reading for me as the parent of a severely autistic 16 year old son. The pictures posted with the report are also very moving. 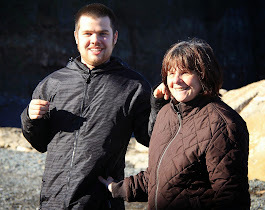 I am sure it is not easy for Kim Oakley as the parent of a severely autistic son to provide her comments but she does so and her thoughts should be read and considered by anyone facing similar challenges, including public authorities responsible for caring for severely autistic adults. I strongly recommend both the California Watch report by Ryan Gabrielson and the comments on the report by California autism advocate Kim Oakley who never shies away from highlighting the challenges faced by those living with severe adult autism realities. One point emphasized by Kim Oakley is the need for hidden surveillance in ALL rooms of institutions for those living with severe adult autism realities. Without surveillance there is little way of knowing what happens to a severely autistic adult who dies or is injured under suspicious circumstances. An autistic resident of a Long Island group home was beaten with a shoe and a wooden coat hanger, slapped in the head and kicked by several employees whose vicious assaults were captured by a hidden video camera, Nassau County police said. The helpless 50-year-old victim was battered repeatedly at the PLUS Group Home Inc. by at least four employees after one of their co-workers alerted police to possible mistreatment of the residents inside the Uniondale facility, police said. Group home management then installed the camera inside air conditioning vents at the home, according to Terri Cancilla, executive director of the PLUS Group Home Inc. Authorities said the victim can not speak or convey emotions or pain because of her disease, which is characterized by impaired social interaction." "This poor soul could not speak for herself. And the animals who savaged her knew it. Perhaps video cameras in all areas of institutions with non communicative residents should be mandatory. So that the videos can speak for them when they are subject to abuse." I agree with Kim Oakley. Video surveillance should be mandatory in all rooms and areas of facilities providing residential care for persons with severe autism and other communication challenges. If they were mandatory in California before Van Ingraham died he might be alive today. Robocall misdirection campaigns are a threat to Canadian Democracy. Please email your Member of Parliament and ask him or her to take all necessary steps to investigate and prevent future assaults on our democratic freedom. The federal government web site linked below will provide your MP email address by entering your postal code. I have also attached below, as an example, the letter I have just emailed to the MP for Fredericton where I live. This is serious. ASHFIELD, The Hon. Keith, P.C. I have the privilege of living in the Nashwaaksis area of the Fredericton riding which you represent in the House of Commons. 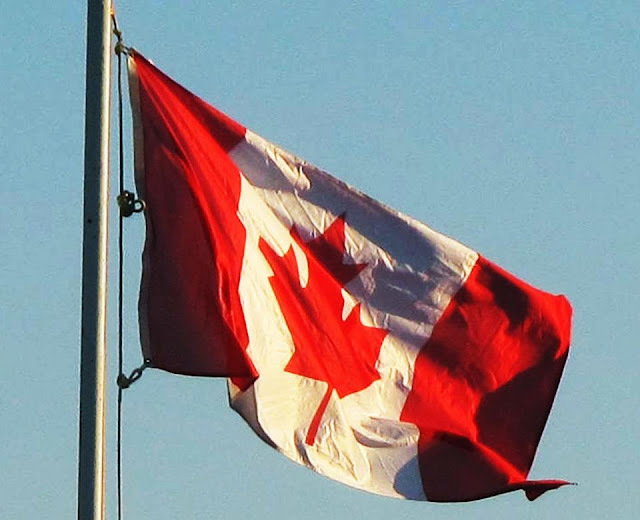 I enjoy the many advantages that accrue simply by being a citizen of Canada, the most fundamental of which is our truly democratic system of government. Our democracy is more than a privilege, more than a right, even more than a set of Constitutional principles. It is who we are as Canadians. The recent news that an organized campaign of misdirection, of "robocalls", by which many Canadians were intentionally sent to the wrong polling station depriving some of the opportunity to vote in the last federal election, the "robocall" campaign, is the most serious threat to Canadian democracy that I have ever seen. I hope that you, as our Fredericton Member of Parliament, and a member of the current government are taking seriously this threat to Canadian democracy. This is not about a particular political party or the political fortunes of individual political candidates. This is about our democratic values and ultimately about whether we choose to live as free people. 4) to punish all those responsible for the recently reported "robocall" campaign.